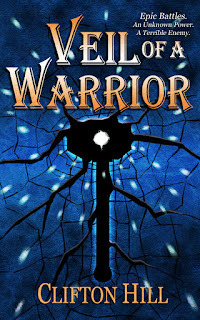 Young Hestea seeks his destiny in this Fantasy Adventure about the meaning of power and friendship. Seek your Power, Seek your Purpose. Seek the Veil. Sworn to Secrecy. Life and Death are on the Line. His wounds heal before his eyes, Sacraith fire bends around him, and his battles are like legend; but Hestea is no magus. Resident of Vancouver, WA found Book 1 Hammerblood at local library. Enjoyed it very much & now want book 2. When is it scheduled for release & where can I buy it? Thanks for reading and saying hi! There are 3-4 more planned Hammerblood books, and though I wanted to get to work on Book 2 right after VoW, other things came up and I realized that I need to grow more as a writer first. 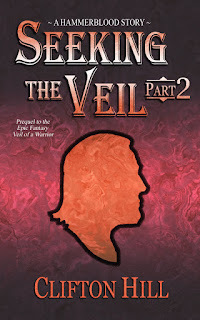 But Book 2 will be getting worked on again soon, and I invite you to sign up for the newsletter to learn more as it develops (http://eepurl.com/SVhLr). For now, the prequel, Seeking the Veil is complete and out in ebook form (combined version + paperback to come out within the year). 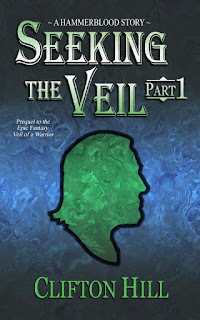 Seeking the Veil ebook is free to newsletter subscribers. 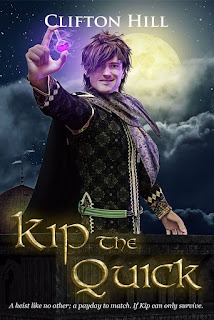 I also have another book called Kip the Quick coming out in May — Witty, fast-paced fantasy heist where morality is…debatable.